The Ninebot By Segway MiniPro makes hoverboard riding fun and accessible for all adults. 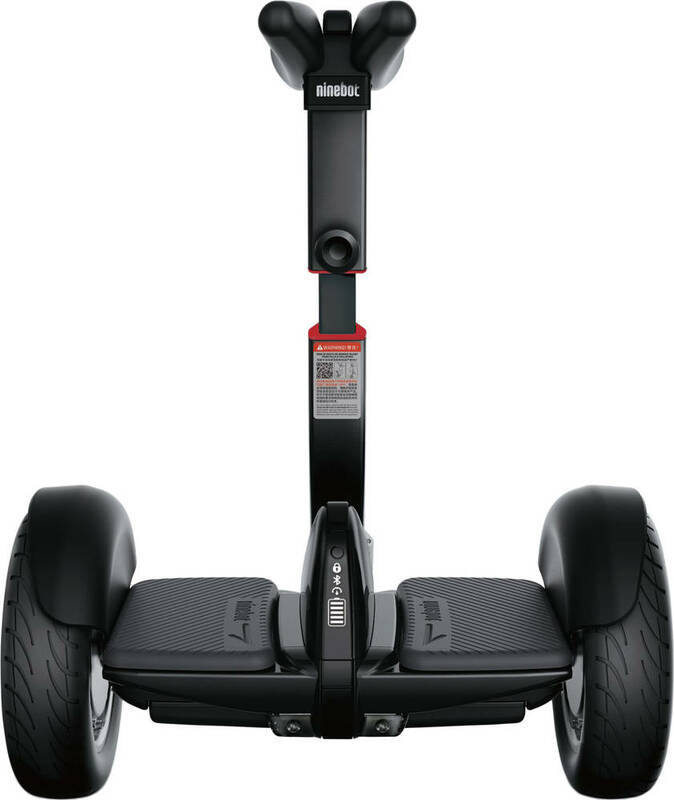 Thanks to the innovative Leansteer foot control and over 200 micro adjustments per second this Ninebot By Segway will keep you balanced and on the board no matter what level you are at. It's primarily controlled by the foot control pad, which gently curves to the shape of your inner thigh. By simply leaning in the direction you want to go, the MiniPro reacts and takes you there. The foot control is height adjustable, to suit different sized riders. The Ninebot By Segway MiniPro is developed to fit adults and is therefore not suitable for children. The MiniPro comes with an app for smartphones (for both Android and IOS), which lets you control many different features such as light colour, check battery status and even a remote feature. It also helps you get started by activating the MiniPro and gives you ride advise for beginners. The remote control lets you control the MiniPro without you being on it. It also works as an alarm for your Mini Pro. Lock the segboard in your app and an alarm will go off if anyone tries to move it. 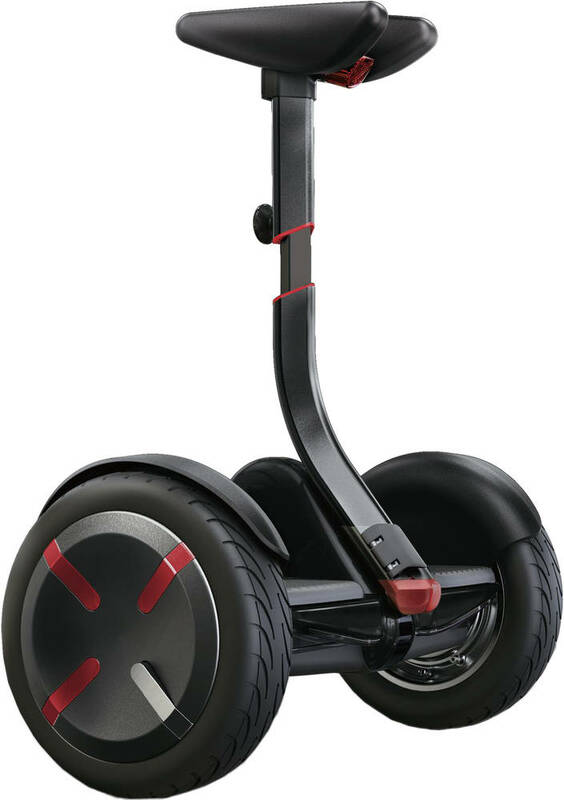 The Ninebot By Segway MiniPro has 15 different safety functions. From anti-theft and fall-protection to electronics monitoring - all to make you feel safe when riding the MiniPro. 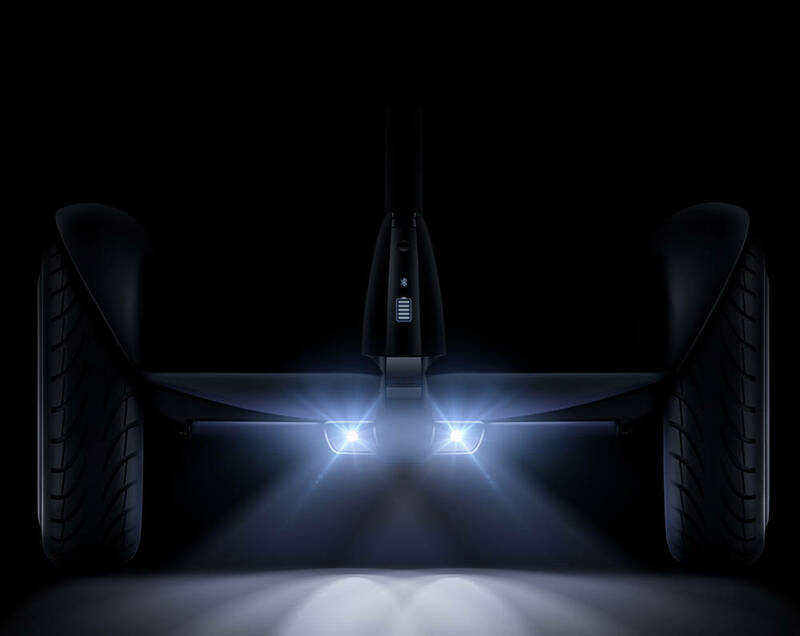 Since the Ninebot By Segway MiniPro is an electric vehicle we advise users to use it only in dry conditions and not on sandy or overly dusty surfaces. For our UK customers, we regret to inform that the MiniPro does not come with a UK plug for the charger. Therefore, an adapter plug is required.